Mace Montessori NurseryThe nursery is five minutes walk from East Putney tube station on the District Line, situated behind the Fire Station on West Hill. Mace Montessori Schools takes children from three months to five years old. At Mace we provide a warm, stimulating and creative environment. Special attention has been given to the school environment and some parents have described our nursery as a “team and a business a cut above the rest.” Meals are prepared fresh daily on the premises by our own Mace chef providing well-balanced nutrition. We also cater for special dietary requirements. �We know that children who are happy and comfortable with their surroundings develop to their full potential. 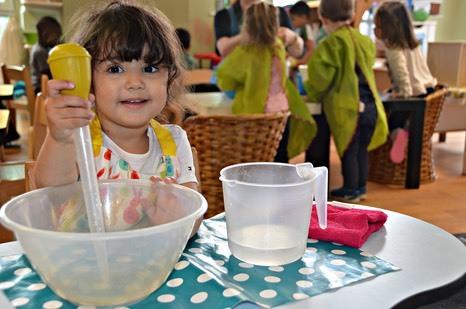 We provide a Montessori method of teaching alongside the Early Years Foundation Stage (EYFS) curriculum. The EYFS is a structure of learning, development and care for children from birth to five years old set out by the government. At Mace Montessori, we aim to provide first class care for your child in a loving environment where each child is treated as an individual. Our professionally qualified team work together to ensure that from baby’s early developmental years through to preparation for beginning school, each child is encouraged to realise their full potential through a carefully developed programme that builds confidence, independence and creates opportunities for both educational and social development. Attend this open day to meet our team, look around our school and learn about the Montessori Method. We will also be celebrating Mother's Day with afternoon tea for all mums and grandmothers.